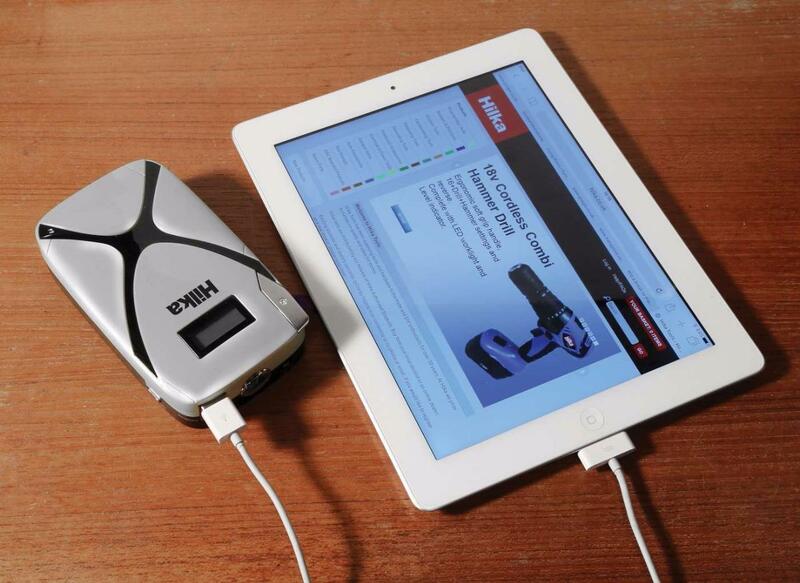 Compact and lightweight powerful multi function jump starter, powerbank & emergency torch unit. 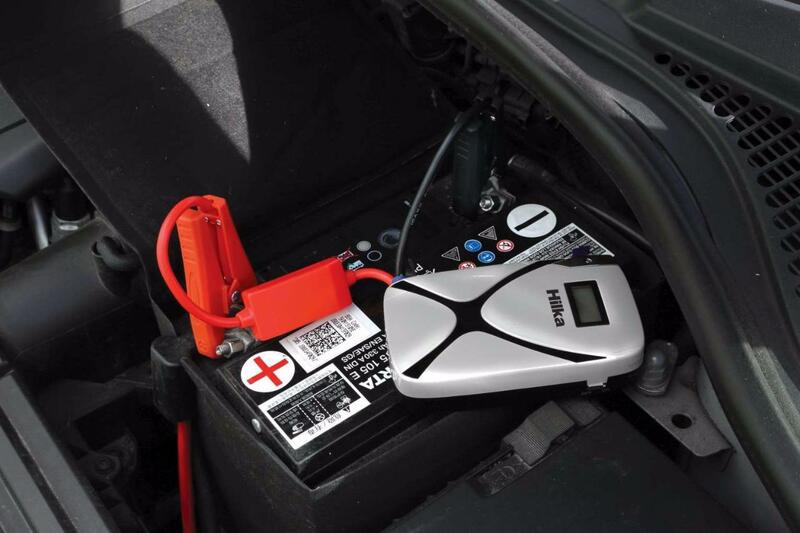 Latest cutting edge jump starter technology, capable of jump starting engines up to 3.5l petrol and 2.5l diesel. 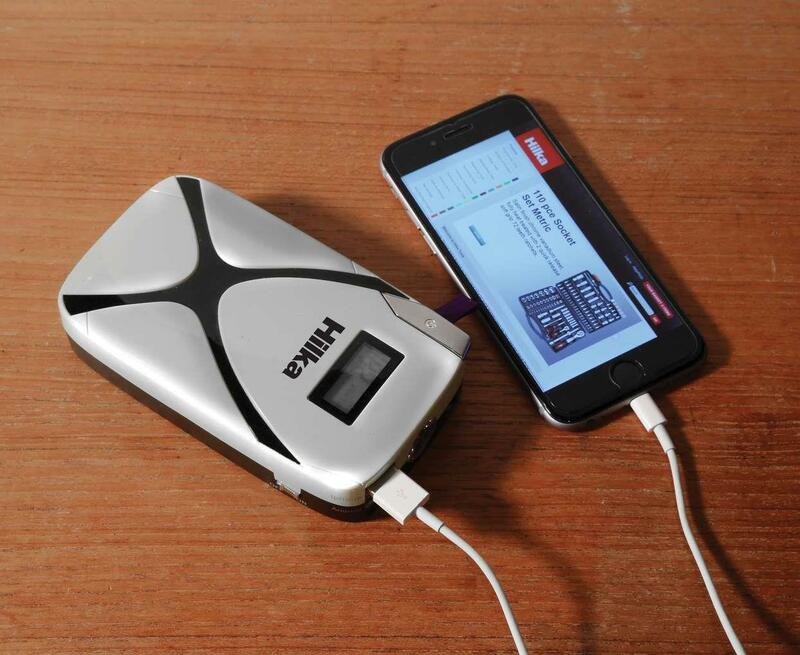 Power bank can be used as charger for mobile devices (cables not included). Integrated LED emergency torch with 3 settings (constant, SOS and strobe) and digital power display. 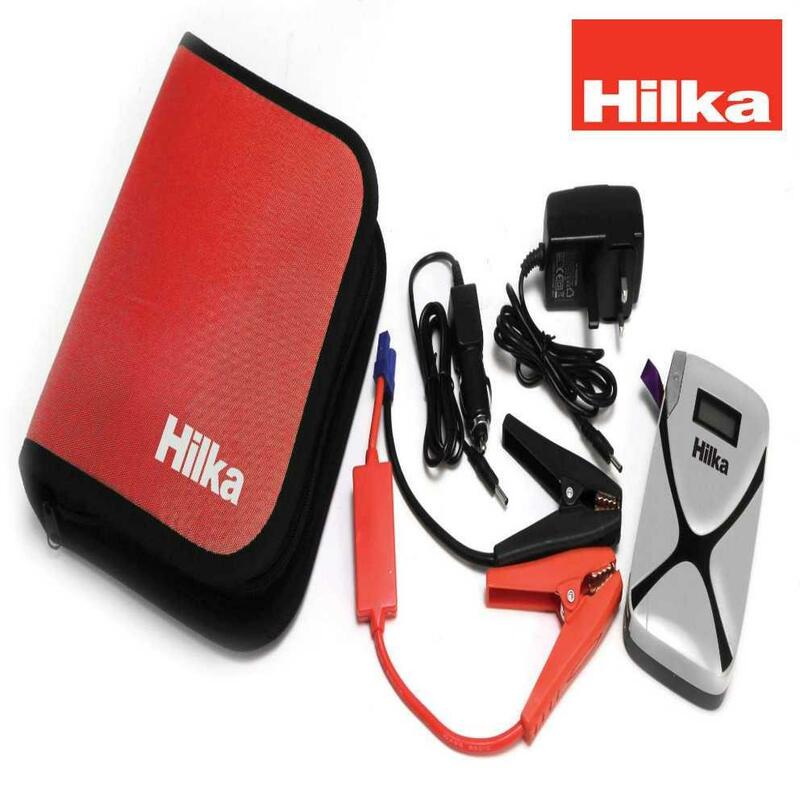 zipped storage case, power bank unit, jump leads, 12v car adapter charging unit and 240v power adapter charging unit. 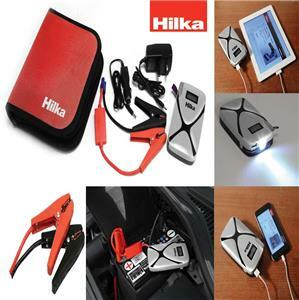 LCD digital screen, jump start booster cables, 3-function LED torch, zipped storage case and 12v and 240v adapter.